Moultrie 6.5 Gal Hanging Deer or Hog Feeder. 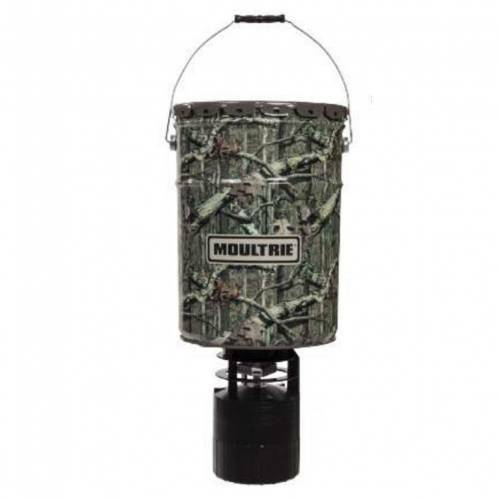 This smaller deer feeder is great for testing out spots or putting up in a hard to reach location. 6.5 gallon deer feeder hopper holds about 50lbs of corn and will feed for 1-2 weeks depending on the amount of feed thrown each feeding.